This workbench is offered for any king of use. 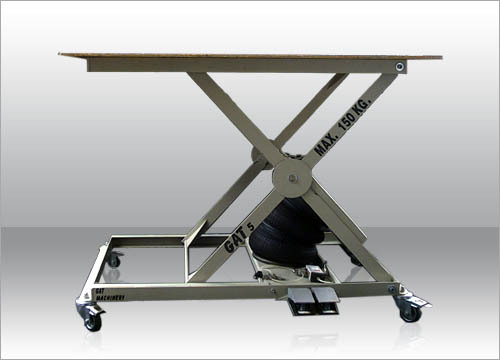 With adjustable height between 20cm to 110cm is adjusted manually. We can optionally supply this upholstering machine with foot pedals. This machine is equipped with a safety system that blocks workbench function if the piston malfunctions.